Mercedes-Benz eschewed the fins of the previous W110 series with the introduction of the Paul Bracq-designed W114/115 “Strich Acht” cars in 1968. This new design was available in sedan and coupe form and rode on a newly designed chassis that consisted of a ball joint independent front suspension with unequal-length A arms and coil-over shocks, while semi-trailing arms made up the rear. Discs all around were utilized for stopping these substantial cars. The W114 range consisted of gas I-6 engines ranging from 2.3 to 2.8 liters (230C, 250C, 280C, 250C, and 280C for coupes—an “E” suffix denotes rare fuel injection), while the W115 range consisted of gas and diesel I-4 engines of between 2.0 and 2.4 liters displacement (200/200D, 220/220D, 230.4, 240D). 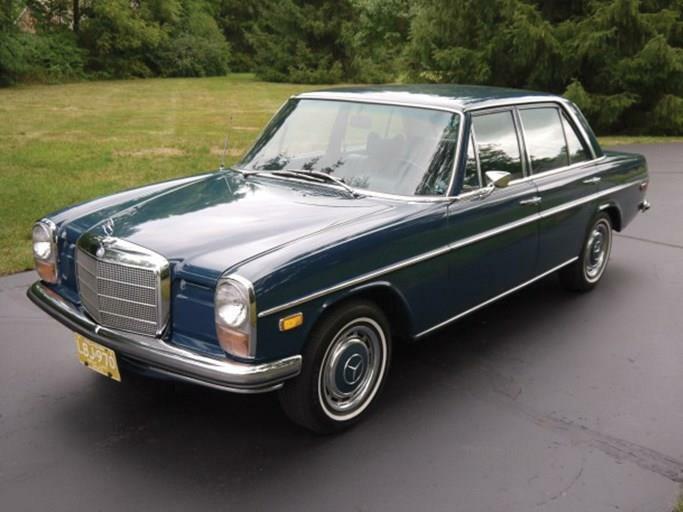 Starting in 1973, the W115 series also included a diesel I-5 with the 240D 3.0 and 300D cars. Well over 1.9 million sedans and 67,000 coupes were built from 1968 to 1976 with a subtle change in styling from the windshield forward appearing in 1974 as well as 5-mph bumpers on U.S. market cars that same year. Transmission choices included four-speed manuals and automatics for all body styles except the I-5 diesel 240D and 300Ds, which were automatic only. A five-speed manual was a rare option on coupes with few making it to the U.S., and a car so equipped with equally rare fuel injection has to be one of the most desirable cars in this wide ranging series. 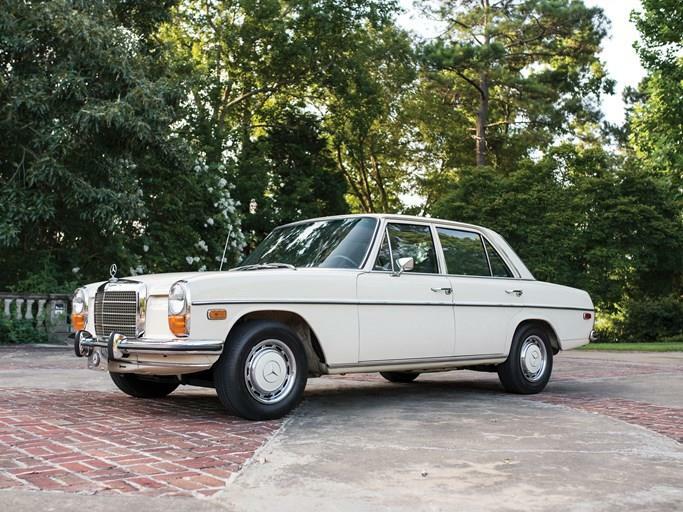 The W115 and W114 series cars have been referred to as "tank-like" by their enthusiastic following due to their robust construction and reliability, and all permutations of body, engine, and transmission make this Mercedes a choice for many different drivers. Rust compromising the car's unibody structure as well as dry rot in rubber suspension fittings and bushings are areas of concern in all Mercedes-Benzs of this era, and potential owners should pay attention to these two areas when considering a W114 or W115.